Regis Place Apartments in Denver offer 1, 2, 3, and 4 bedroom apartments and townhomes designed with your comfort in mind. Easy freeway access make shopping, dining, and entertainment convenient. These newer apartments in Denver have spacious floor plans, wifi in each apartments, 9 ft. ceilings, and washer/dryer in each unit. The community features are sure to please with heated pool, hot tub, clean playground for your children, breathtaking views and beautiful landscaping. 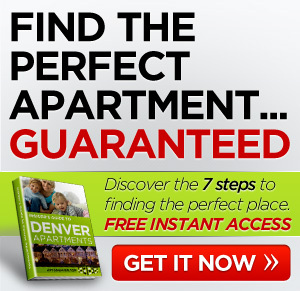 Come by today and make the Regis Place Apartments in Denver your new home. AMAZING SPECIALS ON VACANT APARTMENTS!! Cats & Dogs. Limit two (2) pets per apartment. All pets must be fixed and up to date on shots with current vet paperwork. Dogs must be at least one year old. Breed Restrictions apply. Pet rent is $35 per month per pet. Pet fee is $200 for one cat, $300 for one dog and $400 for two pets. The Berkeley at Regis Apartment Homes are conveniently located just minutes from Tennyson Street, in Berkeley. Berkeley at Regis presents abundant choices for a Colorado lifestyle. Grab a pizza at Mas Kaos, fresh made pasta and pizza at Parisi, get a thai fix at Swing Thai, coffee and books at Tenn Street Coffee & Books, beer at Call To Arms Brewing and Local 46. The Berkeley at Regis is minutes from Willis Place Golf Course, Inspiration Point, Regis University and Rocky Mountain Lake Park. Nearby schools include Regis University: Berkeley School, Centennial K-8 School and Early College High School at Arvada. Easy highway access and public transportation will also get you anywhere you need to be in Denver, quickly. Whatever choices you make, you’ll appreciate the quiet privacy that is the hallmark of this attractive golf-side community, making it an ideal retreat to enjoy life’s simple pleasures. The Berkeley at Regis is a comfortable secluded apartment community with a full range of amenities. Every apartment features a welcoming well-equipped modern kitchens to include energy-saving appliances, with a washer and dryer easily accessible. Residents are steps away from an outdoor spa, right next door. 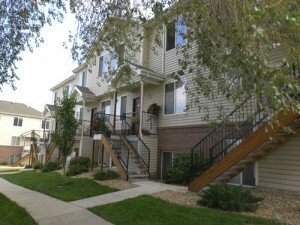 We are also able to do short term leases on these apartment homes. The Berkeley at Regis Apartments welcomes your pets with a small deposit. Please note some breed restrictions apply. We are located within a residential neighborhood, just blocks from parks and dining. You will never be far from entertainment! After you have moved into The Berkeley at Regis, be sure to take advantage of our resident referral program and get paid to choose your own neighbors. The Berkeley at Regis leasing office is conveniently open during the week from 9:00 to 6:00 and also on Saturdays from 10:00 to 4:00 to assist you in any way we can. We invite you to visit our website at www.theberkeleyatregis.com to view photos and more features of our community. 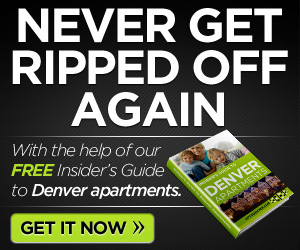 Schedule a personalized tour of apartments in Denver, Colorado today by calling (303) 477-3905 or stop in and prepare to be impressed! Imagine yourself living at The Berkeley at Regis: Close to work, close to play, close to perfect!